How Far is Shree Shankari Flats? 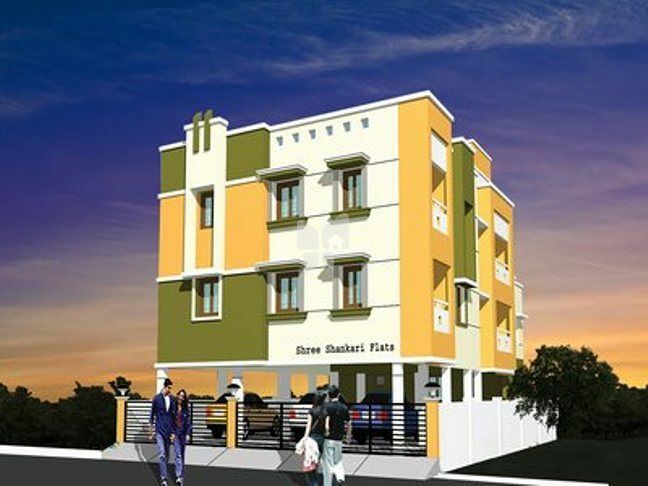 Shree Shankari Flats is a masterpiece as far as contemporary styling and artworks are concerned. Situated amongst the most fascinating flora and fauna, the project allows you to experience beautiful picturesque of the surroundings. Bringing in nothing less than the extraordinary, the exquisitely crafted interiors ensure a restful and relaxed lifestyle at all times. The elegant Shree Shankari Flats is an exquisite apartment layout, which is specially designed as a vista for families to laugh, play, live & love with your dear ones. Every Successful project begins with great construction plans. Shree constructions, the devoted team of techno crafts with more than 10years of experience, comprising with exceptional negotiating skills and other decades of experience in the field backed by market knowledge stands fully equipped to address your property needs. Whether you are thinking of a commercial complex, apartment, a custom luxury home design, whole house renovation, or a second storey addition, or even if you already have construction plans, we are uniquely positioned and qualified to deliver outstanding quality, on-time performance and on-budget completion. "Your dream is our Mission." We treat our client as a privileged person. Delighted to cater the ultimate and inspiring dreams of our clients, we extend our services at your doorsteps for your convenience so that you could relax without any stains and pains.